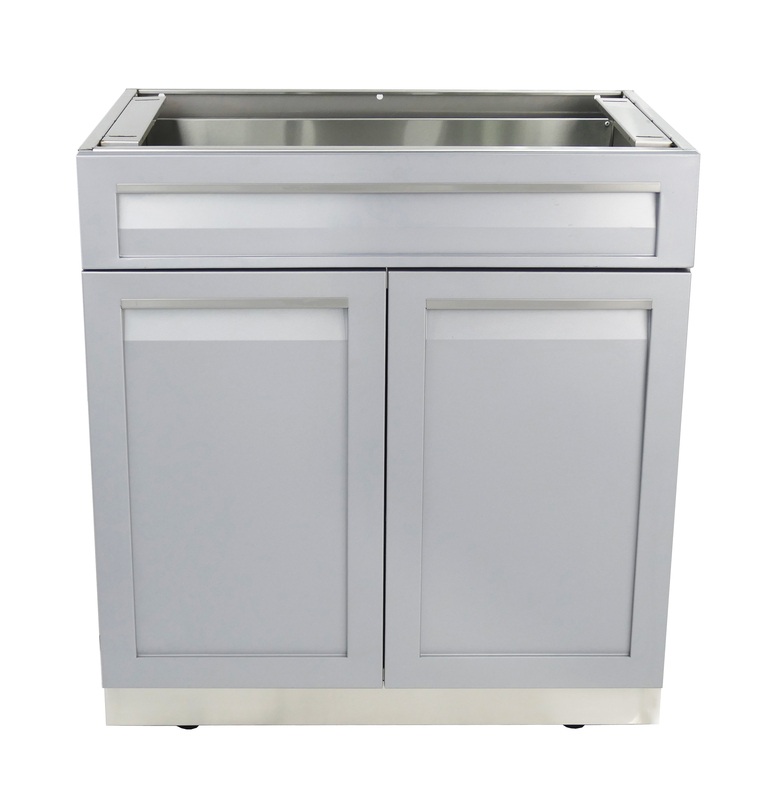 About Us - 4 Life Outdoor Inc.
304 stainless steel outdoor kitchen cabinets. 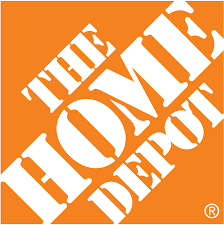 Built 4 Life™ is more than a tagline. 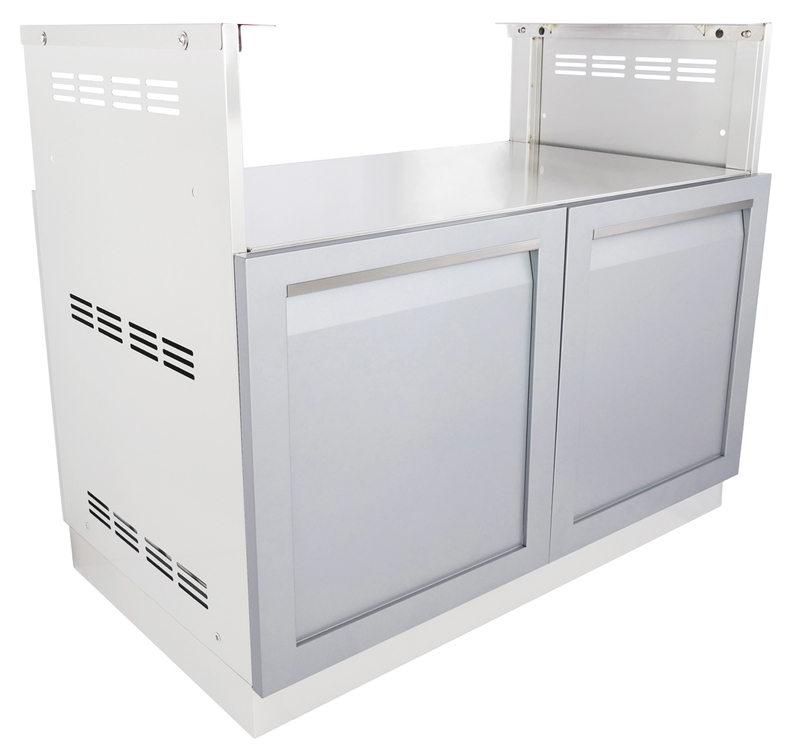 It’s the philosophy which drives the company. 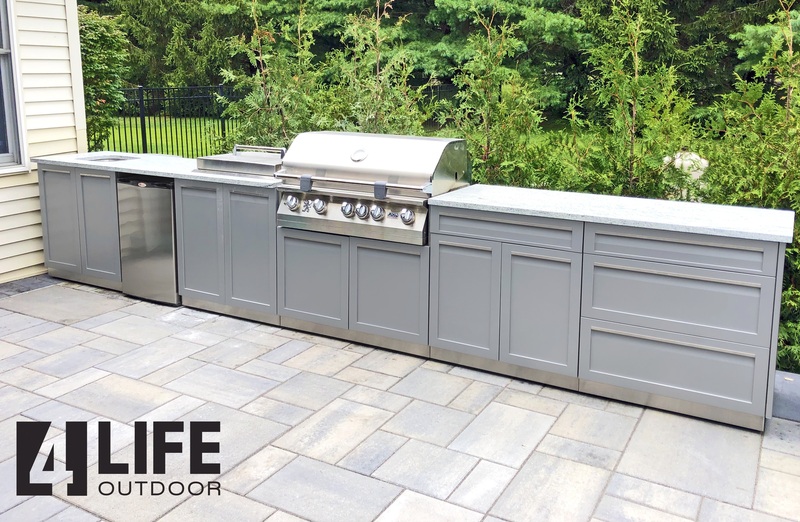 4 Life Outdoor Inc. has set out to create the best in outdoor living products. 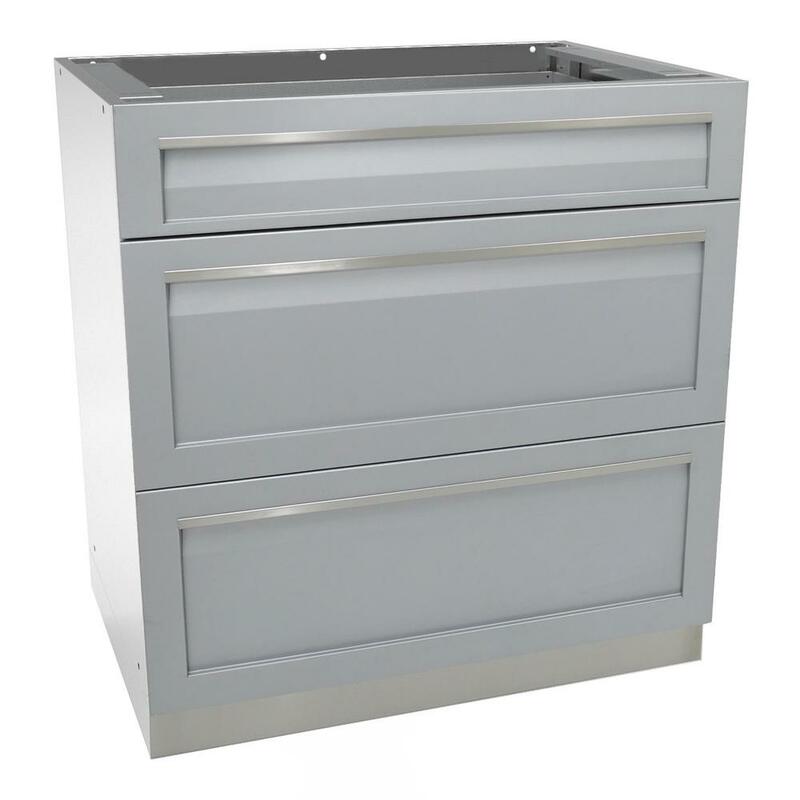 Our premium stainless steel outdoor kitchen cabinets are designed to enhance outdoor living and hosting, for a great value. 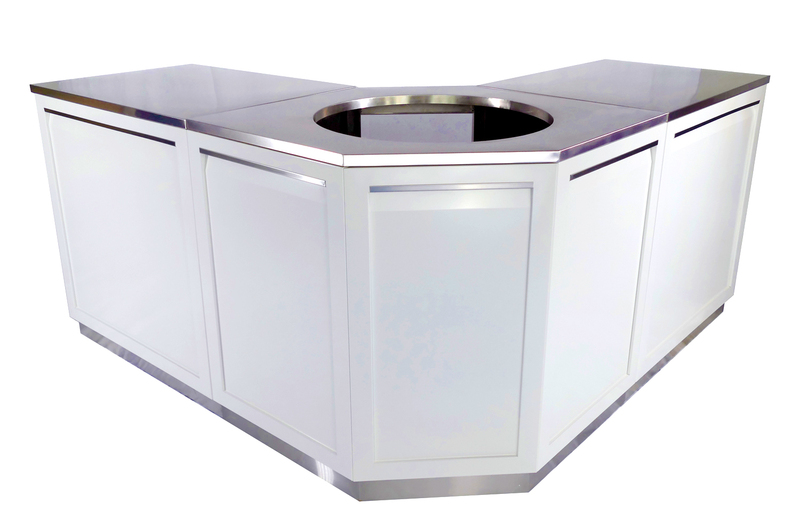 Each outdoor kitchen cabinet is hand-crafted with precision welds. 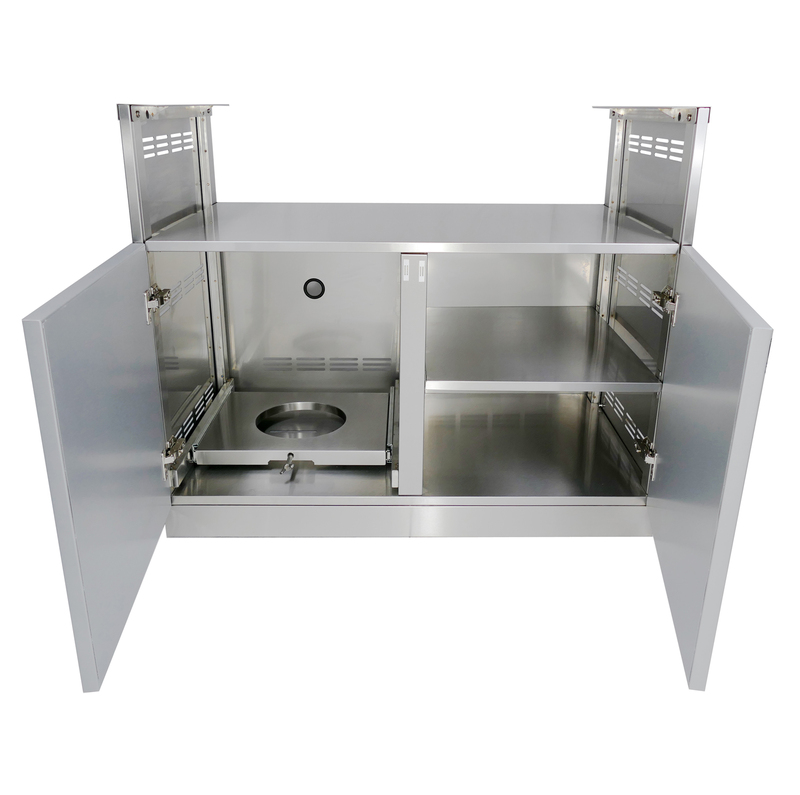 The heavy-gauge, 304 stainless steel is perfectly polished and further protected with a UV resistant powder coating to help these cabinets last a lifetime. 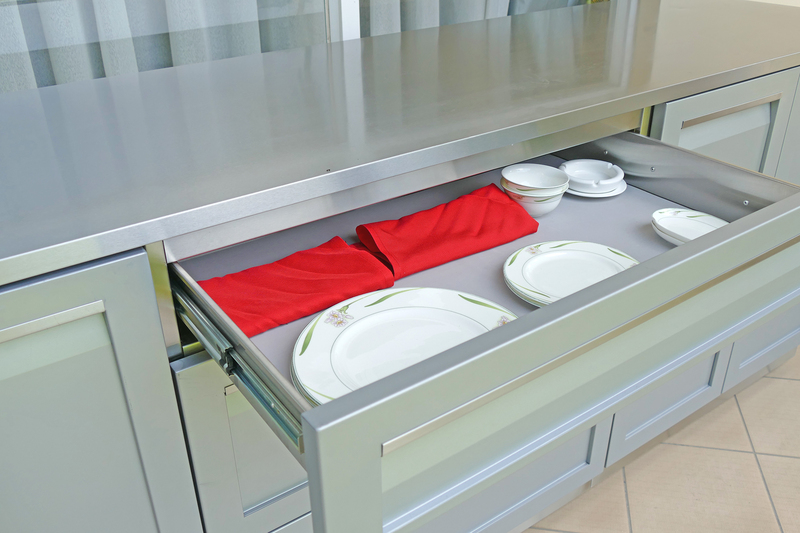 We take pride in our premium products. 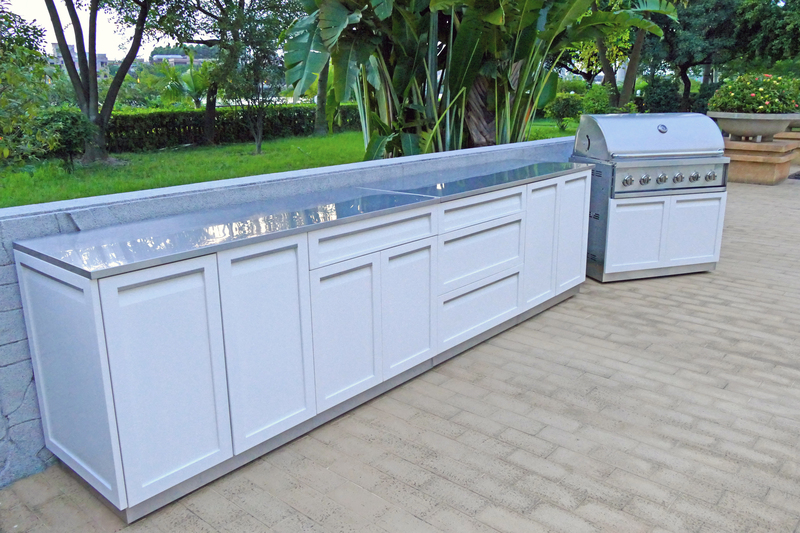 And with a 10-year limited warranty, we stand behind our quality products. 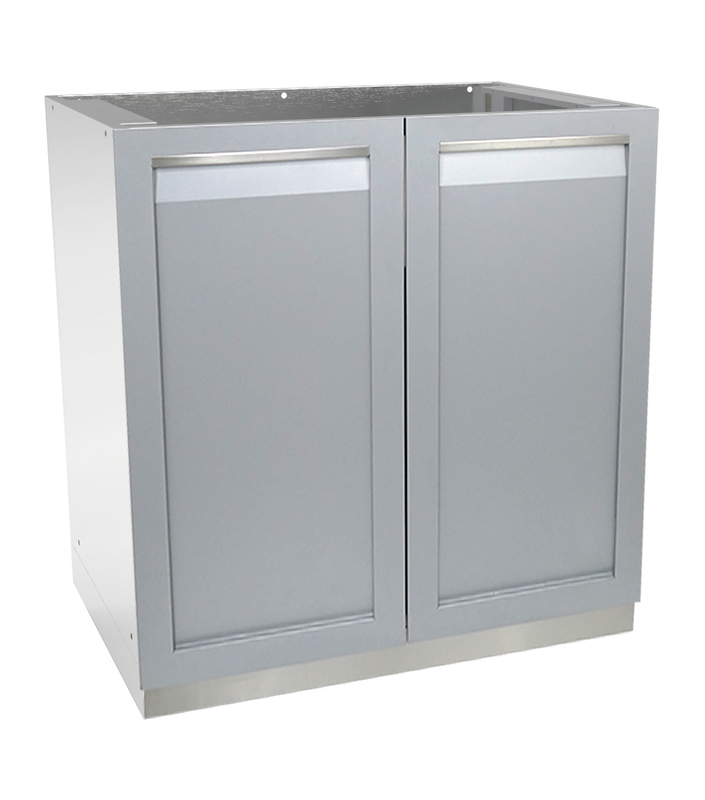 These outdoor cabinets are built strong, with precision crafted 304 stainless steel to withstand the rigors of the most intense seasons. 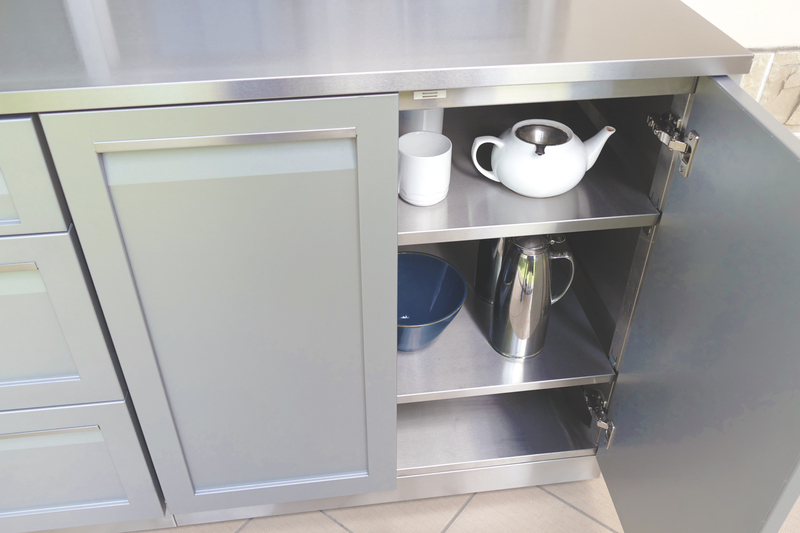 All cabinet doors and drawers have soft-close hardware to help bring everything to a smooth and quiet stop. 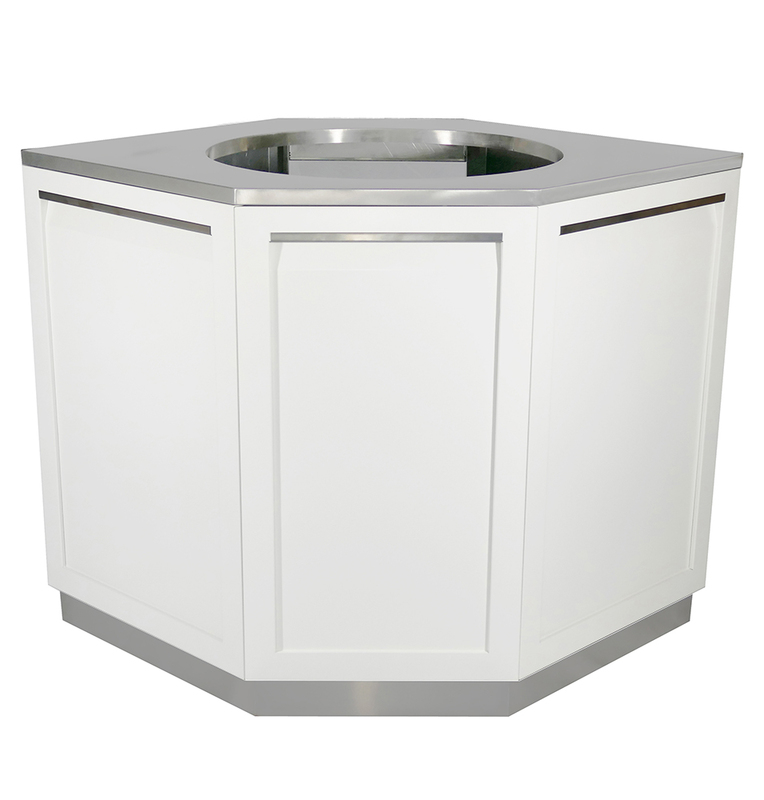 Make it uniquely yours. 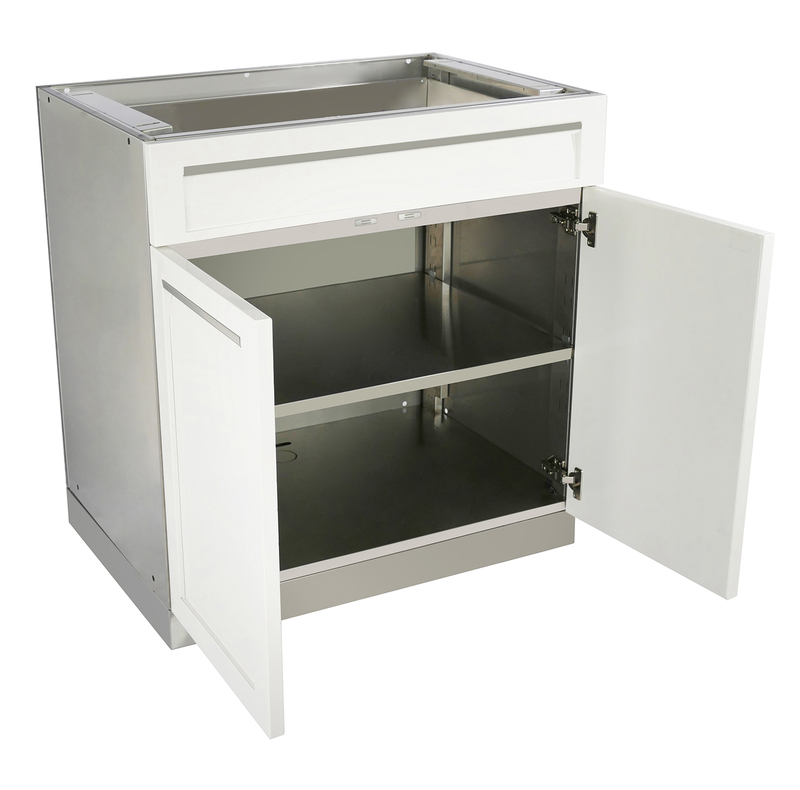 Adjustable shelves for perfect storage with wiring/plumbing access to add charging or outdoor accessories within. 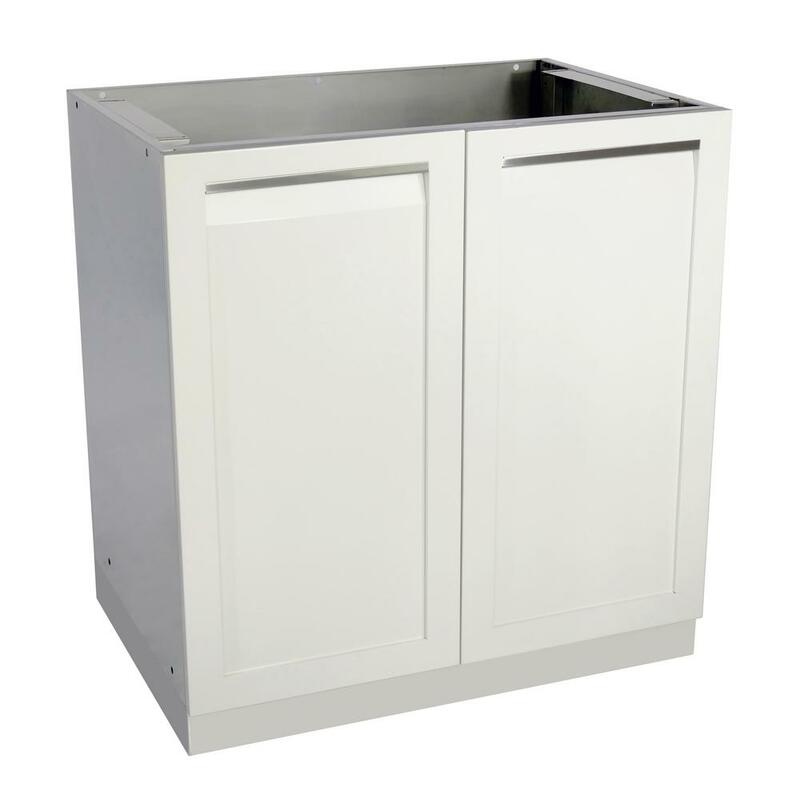 Cabinets are delivered to your home fully assembled. 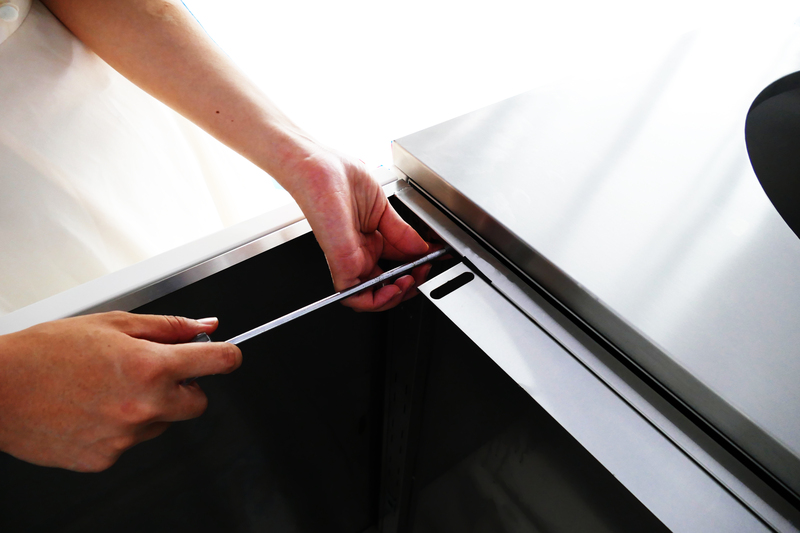 Just tighten the cabinets together and you are all set! 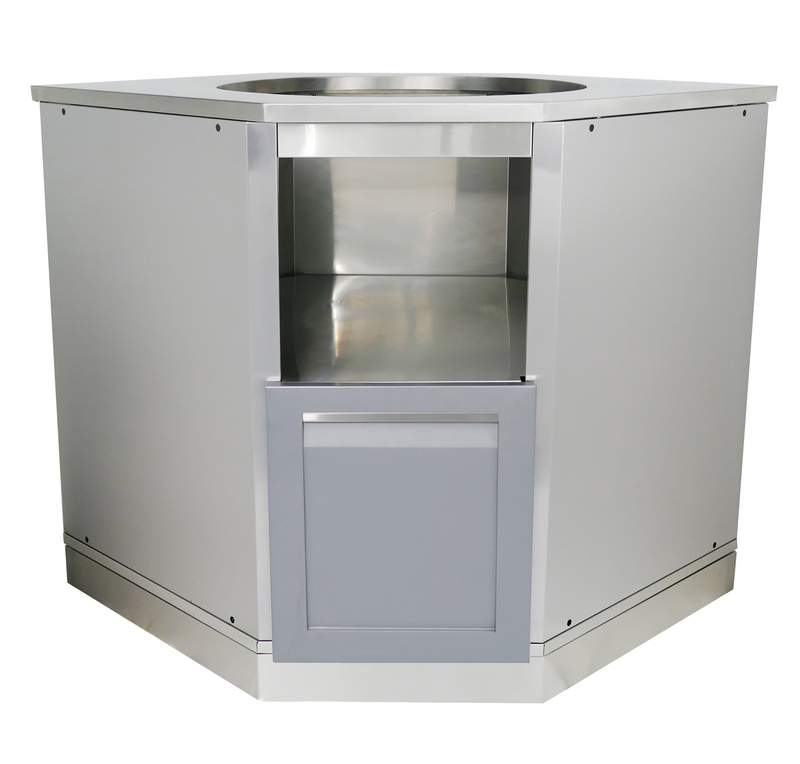 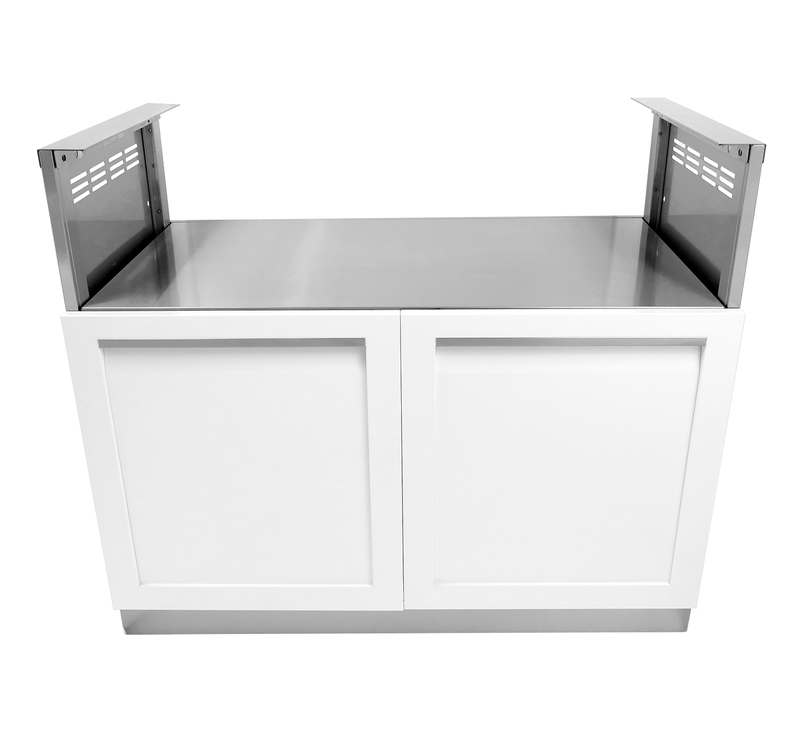 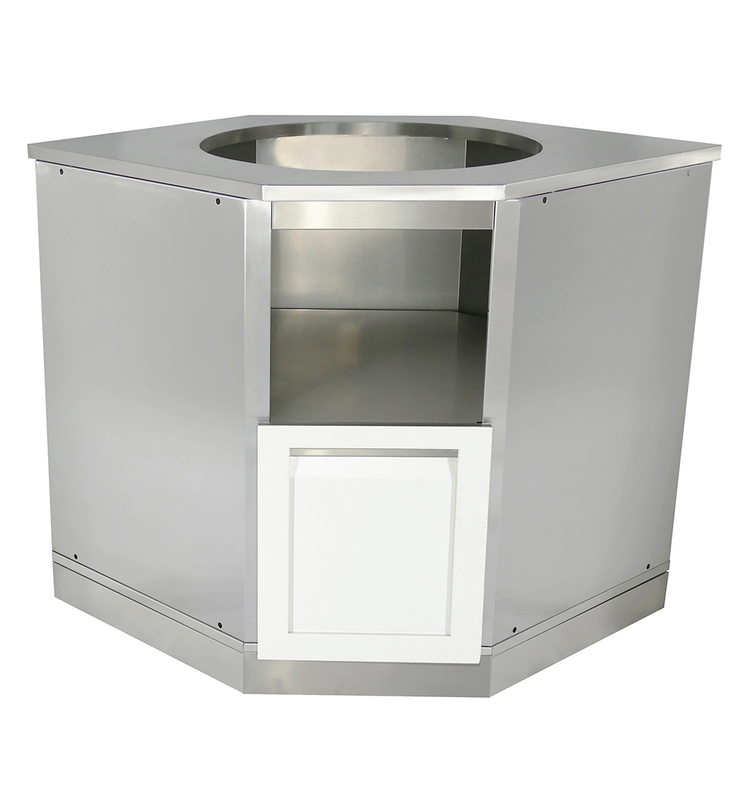 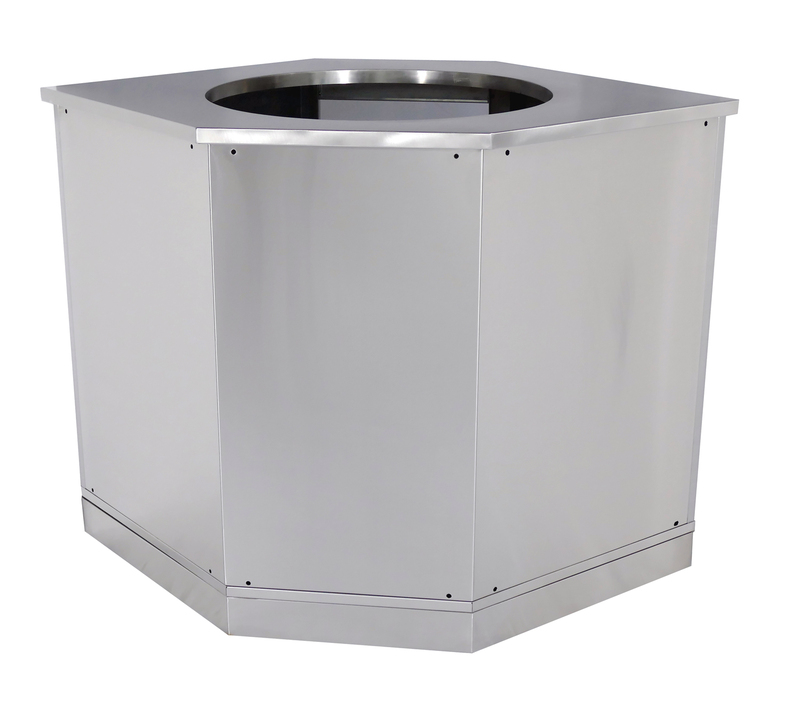 The optional white or gray powder coated stainless steel side and back panels offer a finished look. 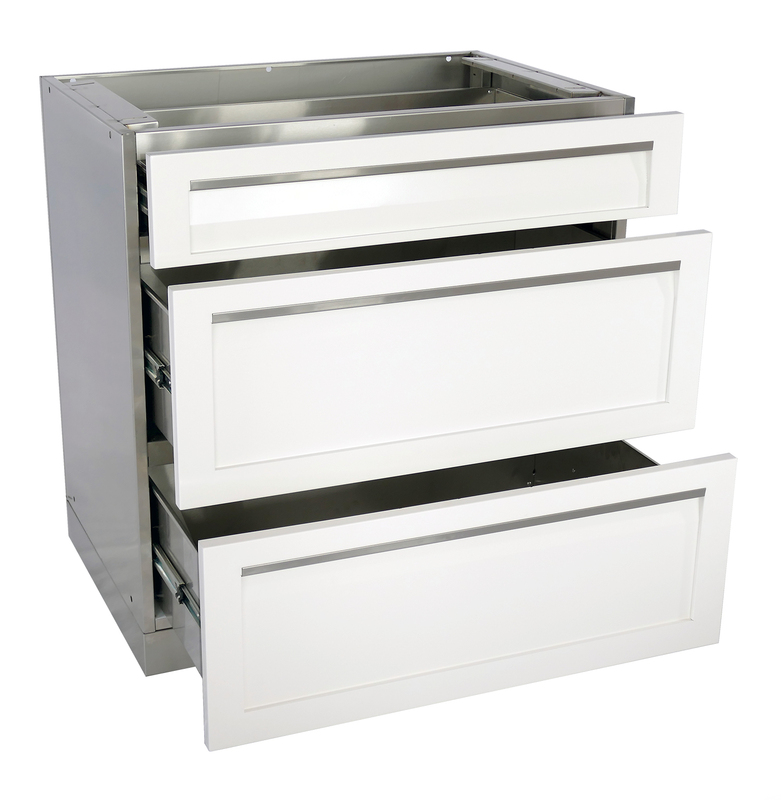 The clean styling of patented shaker handle design will have you loving your cabinets for many years to come. 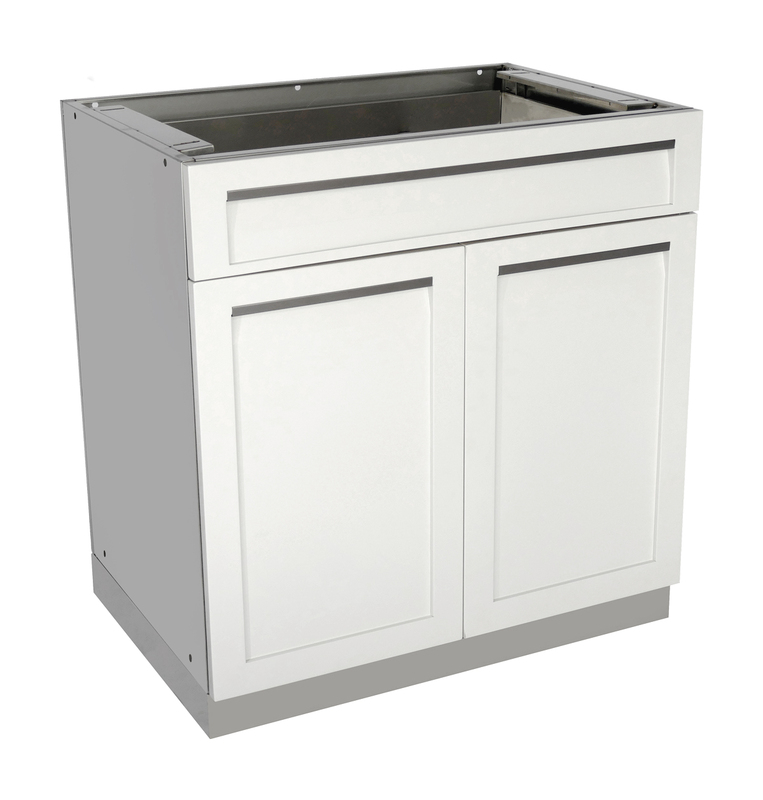 Weather resistant doors and drawers are protected with a UV-resistant powder coating, for long-term resistance to rust. 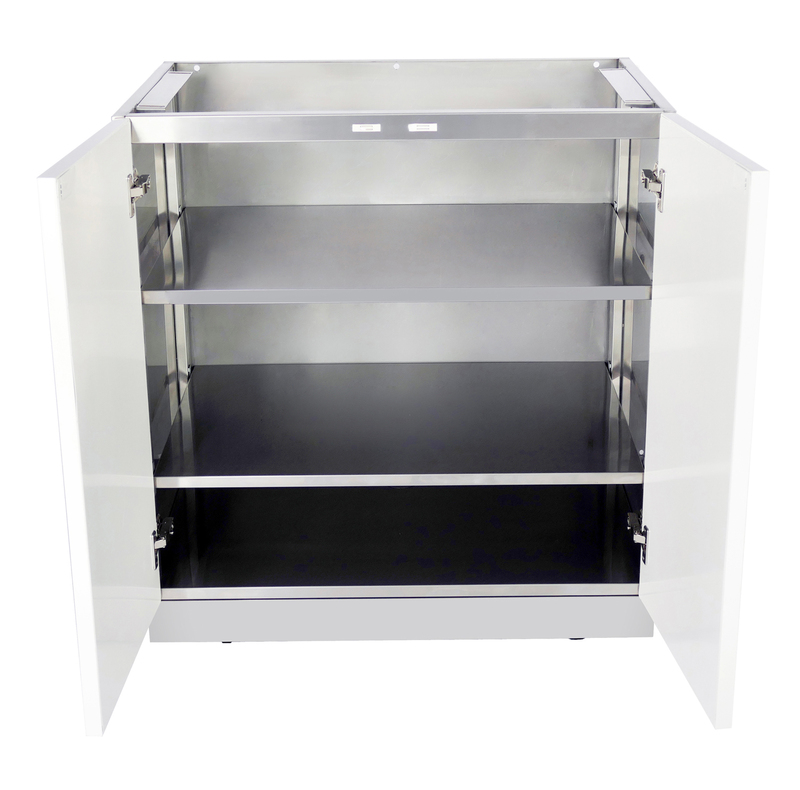 The BBQ cabinet is ready for most 34″ to 40″ built-in grills. 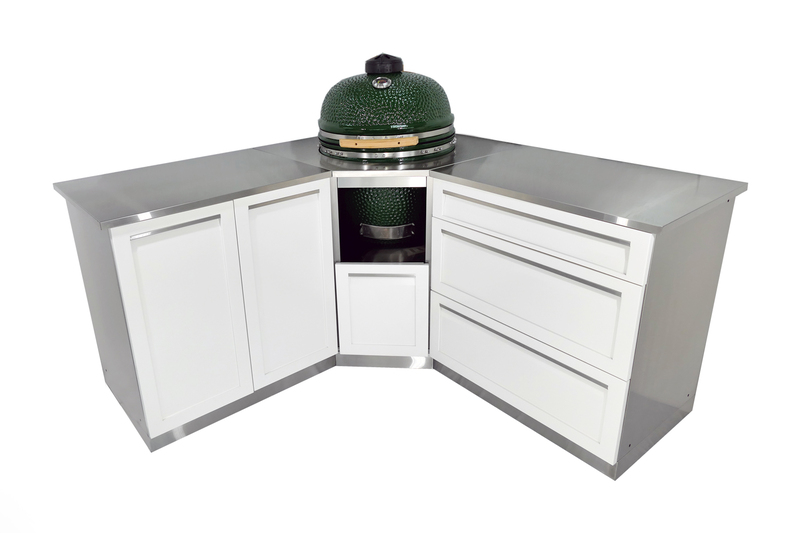 The Kamado corner unit fits most large 23.5 in. 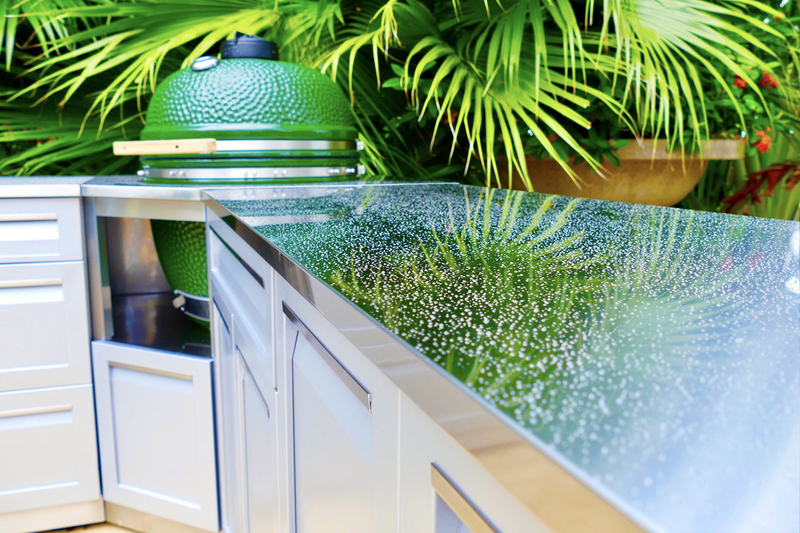 Kamado grills. 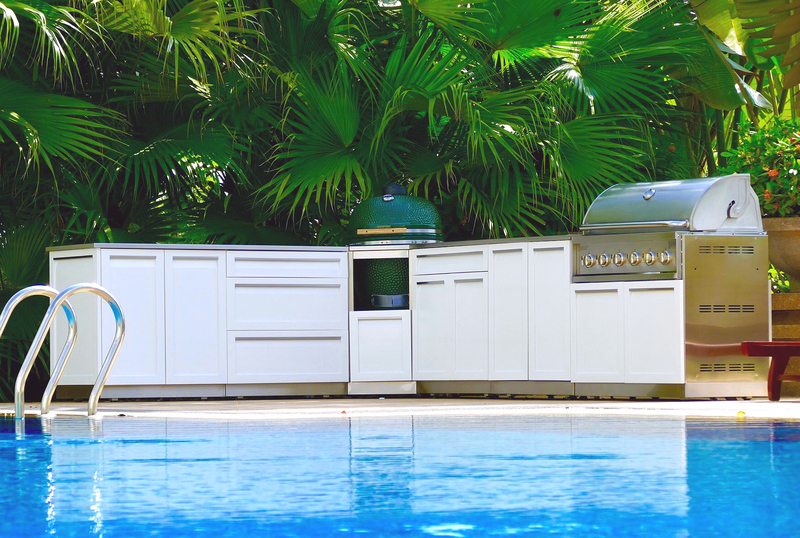 For a limited time only, all of our 8 Piece Outdoor Kitchen Cabinet Sets are $500 off!